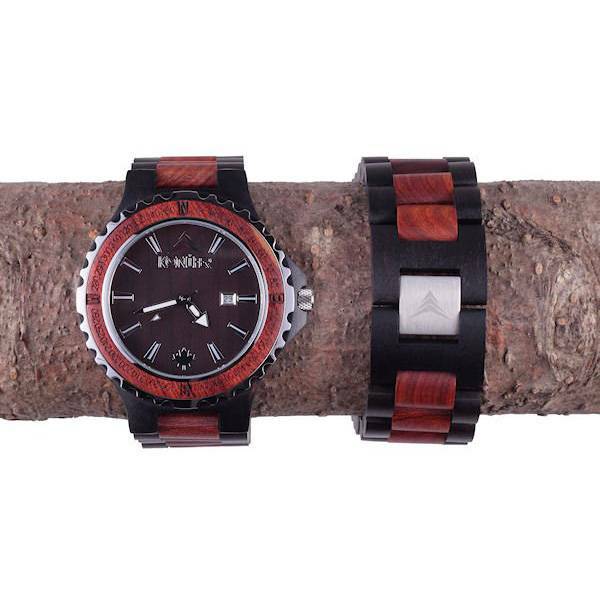 A stylish watch is an accessory that can do more than tell time. 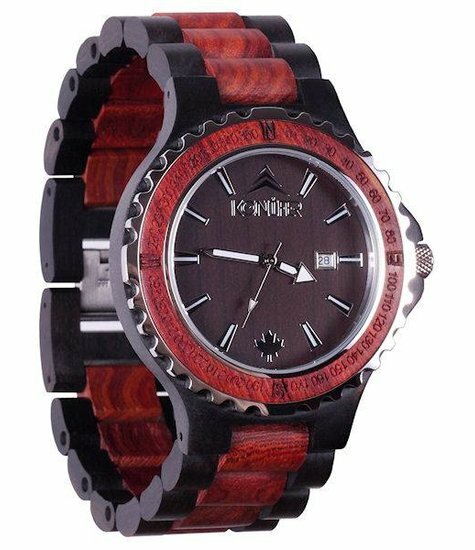 Complete your look and stand out with a red and black two-toned Navigator Ruby timepiece. 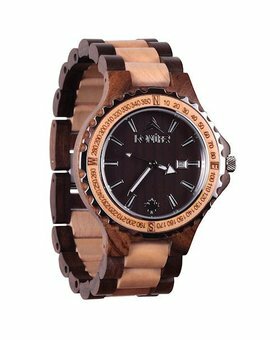 This distinctive wooden watch boasts of the sleek and stylish look you need while maintaining the athletic features you want. 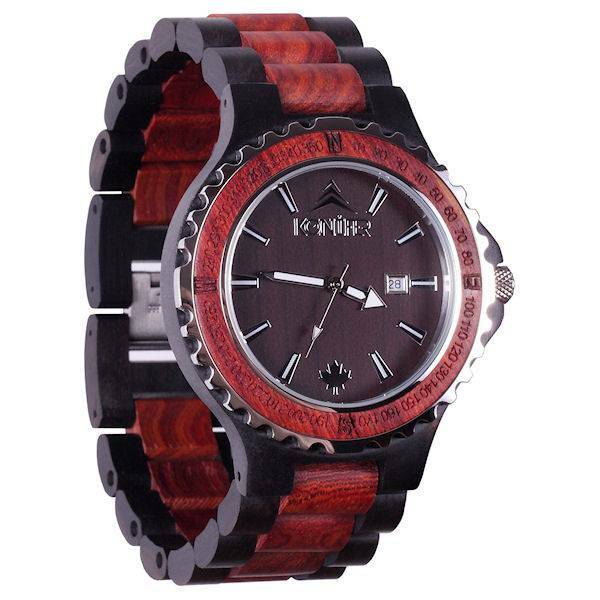 100% hand-crafted from black ebony and sandalwood, the deep rich brown and brilliant ruby-red woods compliment each other. 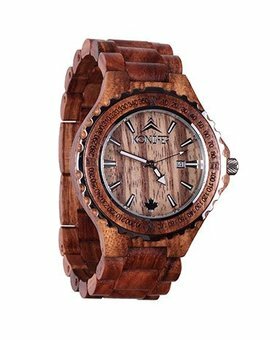 The woodwork assures that no two watches are alike, with each timepiece having unique features of the tree it was cut from. 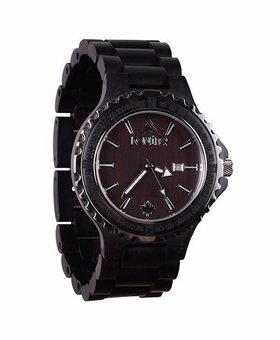 The face of the watch is accented with metallic accents, and displays the time and date. 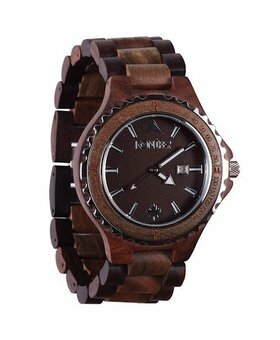 A sporty compass dial offers an athletic accent. 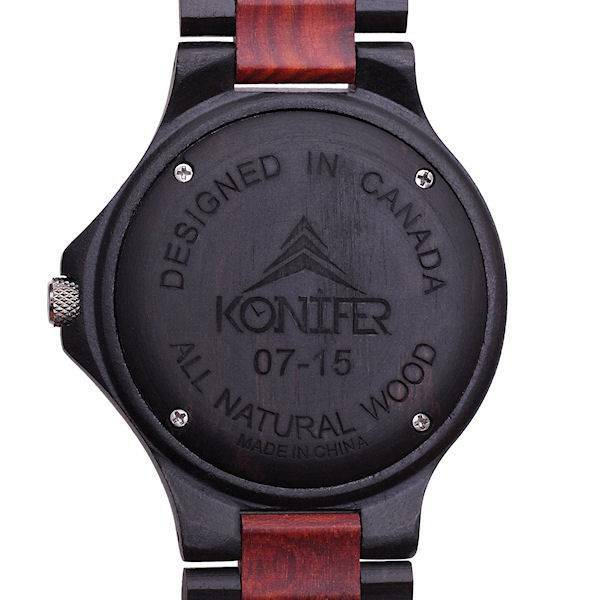 A non-toxic satin oil finish helps to protect the ecologically friendly, renewable and hypoallergenic woods. 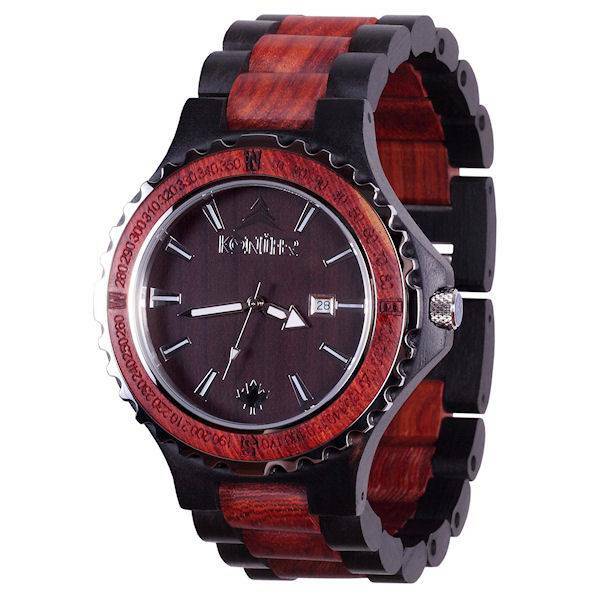 This wooden watch is made for sport but distinguished enough for professional wear.